The fulfilling Aash or ganji or kanji is made for iftar during Ramadan. Its made in all mosques in chennai and at homes. 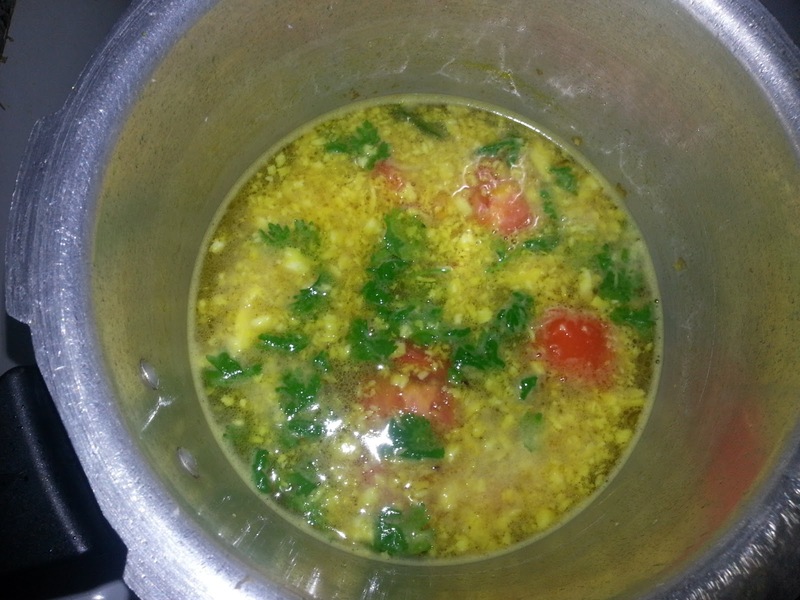 Its a porridge or a thick soup made using rice rava (broken rice) and moong daal. Minced meat or carrots are also added to this yummy dish. Grated coconut takes the taste to the next level. 1. Wash and soak the moong daal. 2. Wash and clean the kheema if using. 3. In a pressure cooker, heat oil. Add clove and cinnamon if using. 4. Add the chopped onions and the green chilli. 5. When the onion turns translucent, add the minced meat if using and stir well. Reduce flame to medium low. 6. Meat will tend to stick to the bottom and sides if unattended so stir constantly. Use some water if needed. 7. Add the soaked moong daal and stir for a minute. 8. Add the ginger garlic paste and stir for a minute. 9. Add the grated coconut and stir for a minute or two. 10. Add water little by little if there is any signs of possible burning. 11. You can now add carrot if using and stir for a minute. 12. Add a pinch of turmeric powder and the tomato wedges. Stir for a minute. 13. Add 3 cups of water, salt to taste and coriander leaves. Give a stir. 14. Increase the flame to high or medium high and wait for the water to start boiling. 15. Add the rice rava and stir. 16. When it again comes to a boil add one more cup of water and wait for it to boil again. 17. 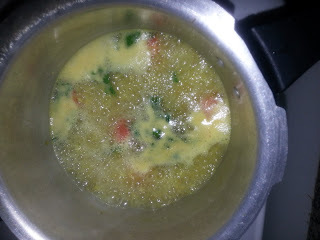 When it starts boiling close the pressure cooker and cook for 6-8 whistles on medium flame. 18. Open cooker after pressure has completely released on its own. 19. Adjust the consistency by adding more water if required. Awesome.. it tasted really good.. thanks for the recipe..